Data Visualization is the study and practice of turning data into content that is capable of being quickly understood. In short, it is the process of designing data. Data design is an exploding industry in today's information society. A good data visualization is capable of traversing the web at a quick rate, which means that an increasingly amount of visualizations are done just for "the sake of visualizing data" and not for any further purpose. I started a Flickr group called Innovation in Data Visualization in an attempt to collect some of the many visualizations into a focused environment. some of the excess visualizations into a concise group. It has grown to over 200 members as well as spawned a local Portland meetup. There are many resources on Data Visualization on the web. The following content consists of Flickr sets and groups that I've collected over time. Thanks to Kim Rees, @krees at @periscopic. New and innovative techniques of data visualization (InfoVis). Coolness, aesthetics and efficacy of visual representation methods. Screenshots of visualizations, diagrams, charts, ontologies, . Diagrams are interesting representations of reality and data. Why don't you add your thoughts and photos to this group? Charts, graphs, facts - anything that is about information or visualising information. Debate sobre gráficos, infografías y relacionados! Maps! for lovers and makers of maps, of places physical and otherwise. Plots are cool. Not only what they represent, but how they represent it. Show us what you find. Any figure will do. A group with emphasis on thematic mapping. 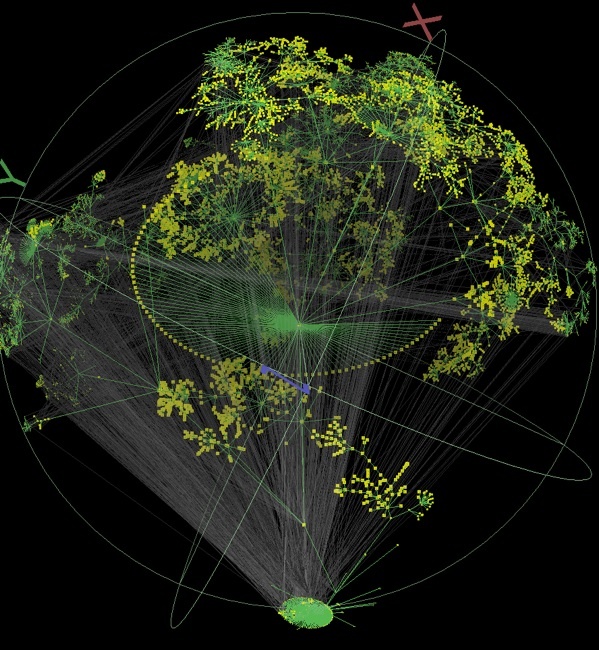 It also includes network graphs, spatial data visualization. modern (or even old) cartography always related to thematic mapping. If you're interested in geomatics and the analysis of risk, .:mitch:. (Institute of Geomatics and Analysis of Risk, University of Lausanne in Switzerland) suggests looking at Christian Kaiser's PhD thesis, a work on cartography, data visualization and analysis; with machine learning and multiagent based systems. Information Architecture (often abbreviated "I.A.") is the practice of structuring knowledge or data. These are often structured according to their context in user interactions or larger databases. The term is most commonly applied to Web development, but also applies to disciplines outside of a strict Web context, such as programming and technical writing. This group is about sharing pictures of ideas, projects and general experiences (including real world examples) with Information Architecture in today's systems and interactive world. Navigation interface based on user behaviour analysis. This group is for current yahoos and alumni. Knowledge Sharing. This group is about thoughts, Ideas, Resources, Findings, Theories, Philosophies and Inspirations towards ART and DESIGN. Artsy Fartsy Stuff. Simply about the visual representation of interesting information. This group is for sharing visualizations of web operations metrics. For the most part, this means graphs of systems and application metrics, from software like ganglia, cacti, hyperic, etc. This page was last modified on 4 June 2011, at 14:19. This page has been accessed 14,894 times.